This section is about two interesting Sheffield Homes and the families that lived in these homes. They are along Detriot Road Across from the Village Hall, and the Garfield Cemetery. They are private residences, and not open to the public. In 1816 Milton Garfield (1792-1862)came to Sheffield, along with his brother Elijah. Thier cousin John joined them in 1816, and Elijah returned to Sheffield, MA. They were distant cousins of James Garfield, the 20th President. in 1839, Milton, and his wife Tempe had this house built. Tempe was the sister of H.H. Williams of Avon Village. Ezra Jackson of Avon designed and started the construction of the house. Milton and his sons did the woodwork inside the house. It is a two story house with ornamental woodwork on the outside. The front entry enframements have columns on both sides. Inside in the dining room a clock was built into the wall. In the fireplaces, the brackets used for the cooking kettles are still there, and they still work! Julia(1821-1922) his daughter married Edward Root, son of Capt. Aaron Root. 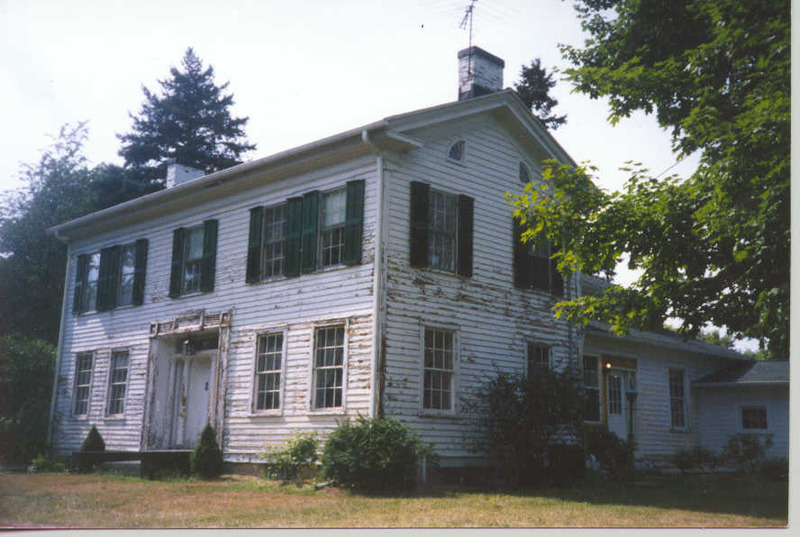 Their family lived here for many years, and the house was known as the Garfield-Root House. Mr. and Mrs Ray Potter bought the farm in 1936. By 1941 they restored the home to its original form, but added modern conveniences such as electric lights. Mr Potter passed away in the summer of 1985, and Mrs Potter joined him in March of 1998. In 1997 the house was steel sided, but the ornamental woodwork was restored. In April 2000, a relative of Milton Garfield, and Edward Root bought the house, and it is back in the family. 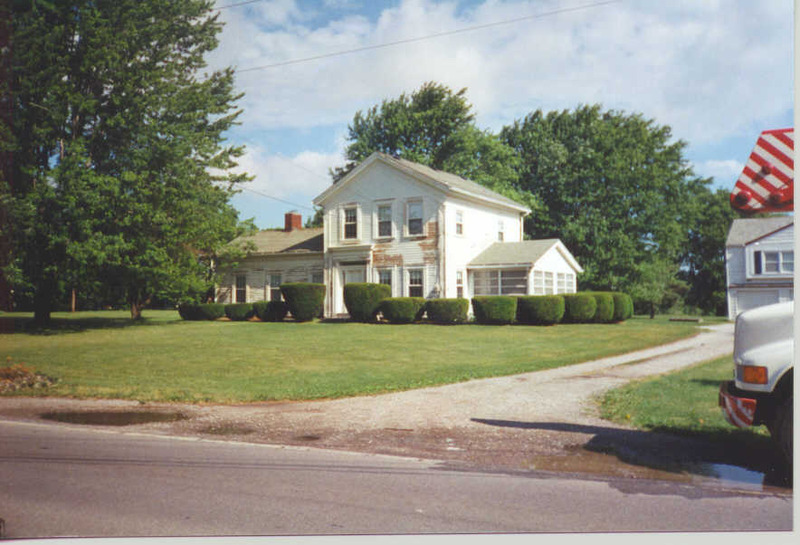 In 1841, John had a brick house built for his family, and it was on Detriot Rd, by the intersection of East River Road. John's house was torn down around 1936, to way for the construction of the Garfield Bridge. The other house was built in ca.1855 by Douglas Smith for Halsey,(1823-1906) Milton's son. The exterior woodwork, like the cornerboards are elaborate. The woodwork shows the change to the Italianate style which was happening at this time. The main door emframement is very detailed. The main section is two stories, with a one story kitchen wing on the west. Halsey and his wife Harriet lived here for many years. She was the daughter of William H. Root, Capt Aaron's brother. After her parents death, Jessie (1856-1940)thier daughter lived here. Her brother Shirley,(1861-1937) and his wife Alice, shared the houes. Another Sister Tempe(1870-1949) married Harry C. Burrell here in October of 1894. Shirley added a small wing to to back of the house. After their passing the house was sold to Micheal Rath around 1943. He removed the back section. It was moved to the lot next to the house. The current owners the Vanuchs are currently restoring this interesting home.